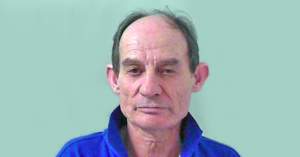 Peter Keniry has repeatedly and fraudulently practised as a veterinary surgeon in the UK. He has just been released from prison having recently served more than one year’s imprisonment, following a three-year prison term handed down at Taunton Crown Court in October 2017, where he was convicted of fraud by misrepresentation. His modus operandi is to use a legitimate registered veterinary surgeon’s details to obtain employment.